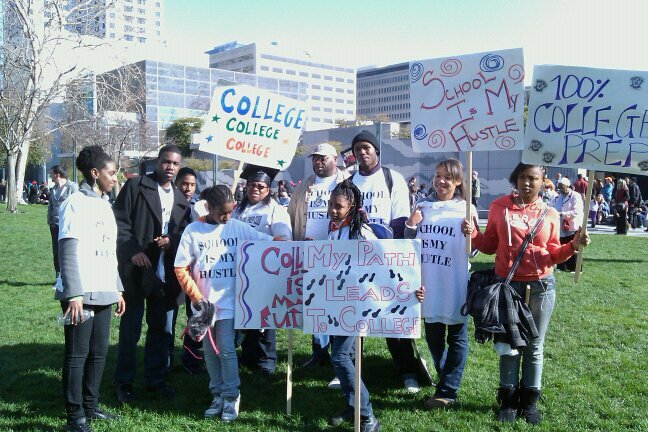 100% College Prep creates a cadre of college-ready students from San Francisco's low-wealth communities to begin and complete post-secondary education. We currently reach 400 students a year with college access services, and boast more than 120 alumni who have earned undergraduate and graduate degrees. 100% College Prep provides academic resources for 8th-12th grade students from San Francisco's low-wealth communities, with a particular emphasis on youth residing in the Bayview/Hunters Point. Cousins Jacqueline "Jackie" Cohen and Diane Gray started 100% College Prep in 1999 after volunteering at a neighborhood community center and discovering the poor academic performance of a large number of African-American youth in the Bayview/Hunters Point. Youth Think. Youth Write. Youth Voice.